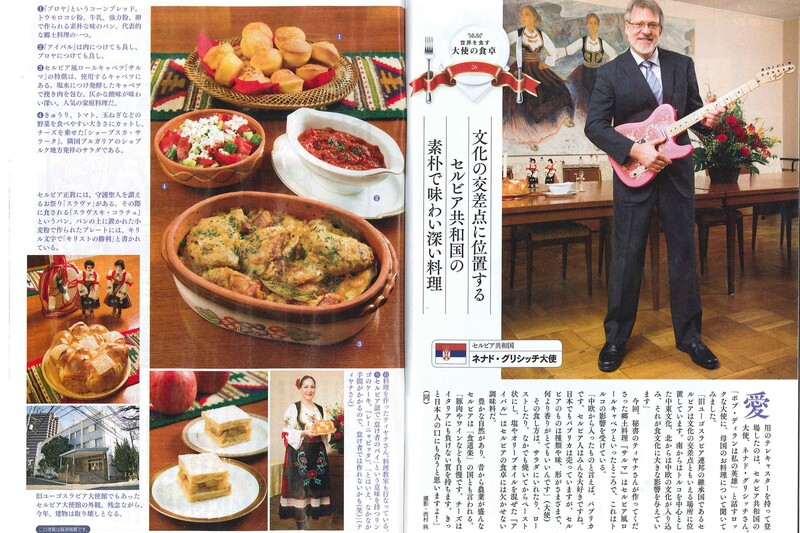 Magazine in Japanese language "Shukan Shincho" published in it's April issue an interview about Serbian cuisine with Ambassador Nenad Glišić in the section "Tasting food from around the world". "Serbia as a country with wonderful nature, where agriculture has long been the main industry, can be said to be a gourmet's paradise. We are proud of our meat, pork in particular, and of our wines too. By their quality, our cheeses can compete with best Italian cheeses. I am convinced that the Japanese will love them", ambassador Glišić said.